Took my car in to get the clutch replaced. They had my car for a week and a couple days as they ordered wrong clutch kit. Fly wheel was not machined and Manual transmission fluid WAS NOT replaced. This is a no-brainer!! They were simply lazy. Shop was also a huge mess. Car had issues shortly after this replacement. Do not go there, youll regret it!!!! When I went back to them they simply denied they had anything to do with the problem. Went on a test drive with one of their mechanics and he told me that I was putting my hand on the shifter knob and that was the problem. I will never ever trust these guys again. These guys have gone above and beyond for me. They pick up my car when Im at work and drop it off end of the day when they have competed the job. They have always done their best to give me a great deal and go the extra mile. Highly recommend them! Adil had my work van transmission replaced in 1 day at a very competitive price. I highly recommend this shop for all types of vehicle repair. They do it right the first time. I do regular maintenance for my car twice every year and I always go to Premier Transmissions. They offer me good prices and service every time. Highly recommended. I brought my car to Premier for clutch replacement. Adil and Dave guided me through the process and discussed various options for pricing. Highly recommended. Friendly staff at Premier Transmission went above and beyond with their customer service and prices. I would highly recommend them. 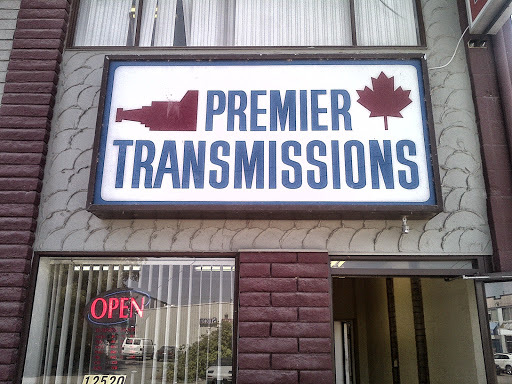 The worst transmission shop in the lower mainland. Over $4500 dollars on a complete rebuild only lasted 1 year. I took my first vehicle to Premier in 1982. Theyve always been great family business to deal with. They did a great job on my car, and got the work done in a timely and professional manner!! A good car repair shop. they provide the good service and price is competitive. Professional quality work but no courtesy vehicles. An auto repair shop you can count on !